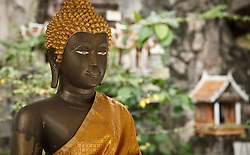 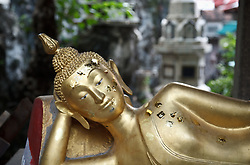 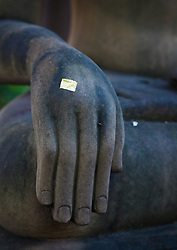 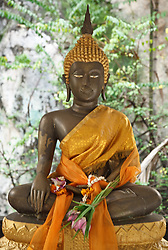 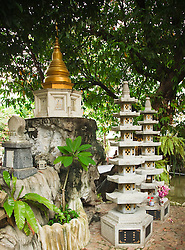 Prayurawongsawat Temple, Bangkok is a unique Buddhist temple on the site of a coffee plantation. 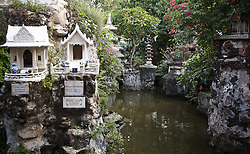 The owner gave the land in 1828 for the temple. 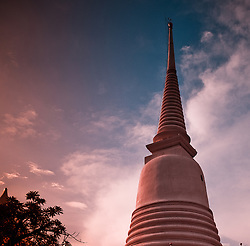 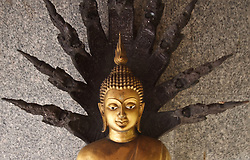 A 60 metre tall white chedi contains relics of the Buddha. 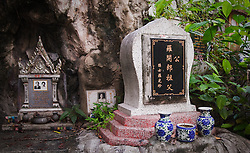 There are frequent funeral ceremonies. 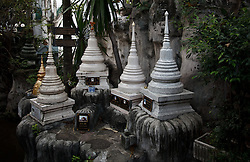 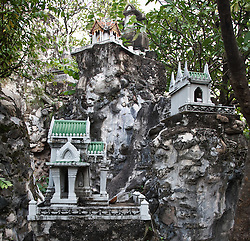 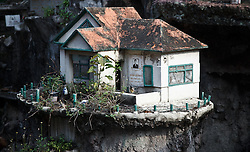 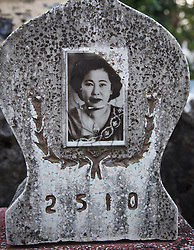 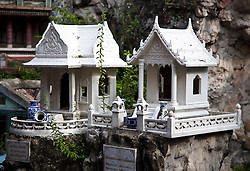 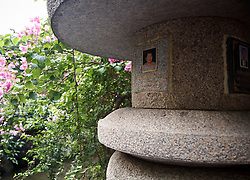 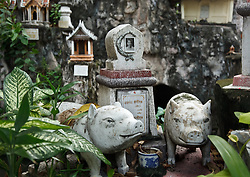 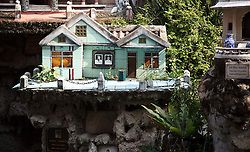 A cemetery has numerous miniature houses, a bronze pagoda and small temples with photographs of the dead. 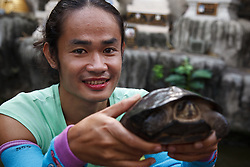 An ornamental pond is full of turtles. 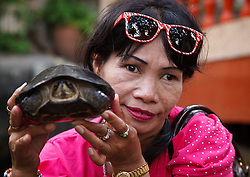 A Thai couple released a big turtle and two small turtles into the pond followed by several big fish.